These are amazing!!!! Just finished eating and loved them! Perfect, perfect, perfect! 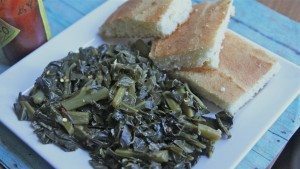 I have been looking for a good greens recipe without the meat. My boyfriend and I have been working towards a vegan lifestyle plus he is southern ( I am a Northern gal that loves greens!) so this recipe is perfect and awesome!! It’s a keeper. 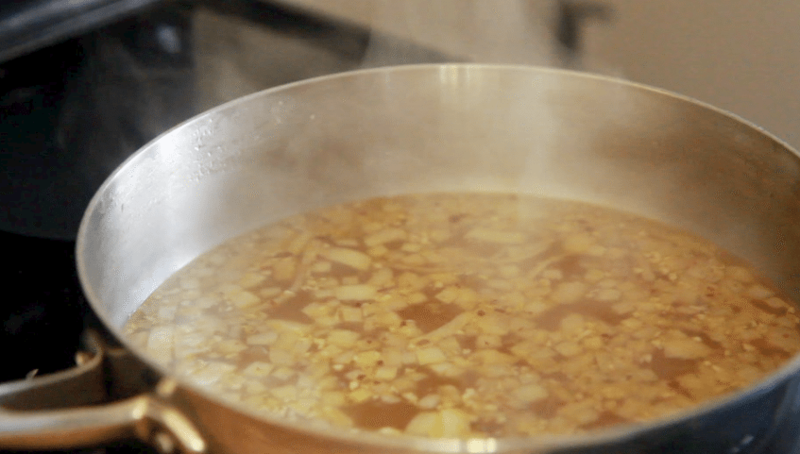 I added a little vegetable oil to the broth as well. That gave the greens even more of a realistic meat feel without the meat. I must say this was awesome!! I’ve never made greens in my life, but these right here had my family going back for seconds and thirds 🙂 I did OD on the red pepper flakes bc of course I didn’t measure a thing BUT they were still delish! Thanks for sharing!!! I cooked these collards for New Year’s Day and followed your recipe to a tee. They were perfect! My family couldn’t get enough and we had none leftover. I found the smoked salt on Amazon.com. Thanks for sharing your recipe. Thank you for this excellent recipe. I made these using a small red onion, half a teaspoon smoked paprika instead of smoked salt, after sauteing onion and garlic in good extra virgin olive oil. They taste as if cooked with ham hock. Delicious! This recipe saved the day. I bought collards at the Farmer’s Market thinking it was kale (what can I say) and wondered what to do with them. I’m off to the grocery store to purchase the ingredients. Thank you, it looks delicious and easy! I’m purchasing smoked salt (which I’m happy to learn about!) and cooking up a mess of these! 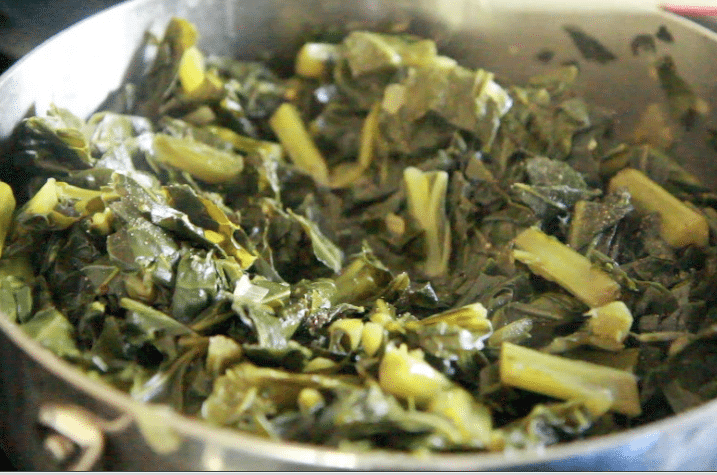 I wasn’t sure how I was going to cook the huge, beautiful Collards I picked up at the store yesterday. On sale for $1.00 I could not leave without them because I know they are good for you. Anyway I found this recipe and they turned out Great! My family liked them even went back for seconds.